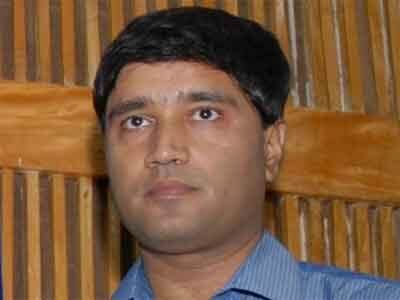 New Delhi: In a relief to IFS officer Sanjiv Chaturvedi, the Supreme Court Friday upheld the Uttarakhand High Court’s decision setting aside the CAT chairman order on a plea made by the central government for the transfer of a case. The apex court dismissed with a cost of Rs 25,000 an appeal of the All India Institute of Medical Sciences (AIIMS), challenging the high court order. Uttarakhand High Court verdict had held that the centre and the All India Institute of Medical Sciences (AIIMS) administration treated Indian Forest Service official Sanjeev Chaturvedi in a “vindictive” manner after he highlighted several instances of alleged corruption in the premier medical institute nearly five years ago, reports NDTV. A bench of Justices R Banumathi and Indira Banerjee upheld the high court’s order and held that the order of the chairman of the Central Administrative Tribunal (CAT) singly staying proceedings before a two-member bench of the tribunal was “without jurisdiction” and “unsustainable in law”. The top court said the chairman, like the Chief Justice of the higher courts or the Chief Judge of subordinate courts, may be higher in order of protocol and may have additional administrative duties and responsibilities. “However, the chairman, acting judicially, is equal to any other member. The chairman, being one amongst equals, could not have stayed proceedings pending before a larger Bench. We find no grounds to interfere with the reasoning of the high court. The high court rightly allowed the writ petition with costs,” it said. The bench of the CAT had been hearing the case filed by Chaturvedi since July 2017 in the matter pertaining to adverse entries made into his appraisal report of 2015-16 by the AIIMS, New Delhi, where he was working as chief vigilance officer from 2012 to 2016. The chairman of the CAT at the principal bench in Delhi had stayed the proceedings filed by Chaturvedi and pending before a division bench of the CAT at Nainital. When Chaturvedi filed an application before the Nainital bench challenging the appraisal report, an interim order was passed in his favour after which the central government approached the principal bench of the CAT to transfer the matter from Nainital to Delhi. By an ex-parte order on September 18, 2017, on the transfer application, the CAT chairman, sitting singly, stayed the proceedings pending before the two-member bench at Nainital for a period of six weeks and issued notice to Chaturvedi. The CAT chairman’s order was transferred by Chaturvedi before the high court, which set aside the decision. The AIIMS moved the apex court against the high court order. The apex court said that an interim order should be ordinarily vacated by a bench of coordinate strength after giving notice to the applicant. “If the chairman was of the considered opinion that there was urgency in the application for vacating the interim order, the chairman ought to have assigned the application for vacating or vacation of the interim order to a bench of two or more members to consider whether the interim order should continue or be vacated. “The chairman could also have exercised his power to suo motu transfer the proceedings to another bench without prior notice. The order of stay of the proceedings before the Nainital bench is without jurisdiction and unsustainable in law,” it said.